The pieces within this collection may be performed individually or together. By default, granted licenses will include the whole work unless specifically requested otherwise. Please submit a cutting request with your application if you do not intend to perform the work in its entirety. Not many Christmas plays are funny. This one is—rather, these are. 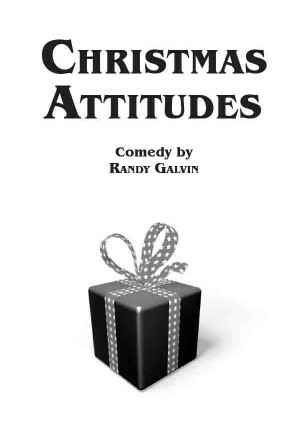 Christmas Attitudes is made up of seven skits, from two to twenty minutes long. Very few set props are needed, and these can be moved on and off the stage by the actors. Ideal for touring, a company of six can play all the roles, or even as few as four if the narrators take part in the action. Most of the characters may be played by men, women or children. The skits may be done in any order and any combination. As its title implies, Christmas Attitudes shows us how we the people think about Christmas. It is suitable for performers and audiences of all ages.